In February I joined Sanae Ishida's Valentine Gift Exchange. Such an innocent thing, but it really was my first concerted interaction with other makers. From that experience I "met" Ute and her beautifully simple urban aesthetic, and her enthusiastic support of her maker friends. I also became a committed reader of Sanae whose comment section is often a forum for creative topics on the internet. In the Fall of 2013 my little family moved to a house that allowed me to have a dedicated sewing space for the first time since I was a single girl with a swiss army knife apartment where I could leave sewing projects in the living/dining/bedroom as long as I wanted and eat over the kitchen sink. I know lots of people who accomplish an amazing amount of work from their family dining table, but that has never been me. Since having children I have focused on knitting because it takes up less space. The truth is, I would rather sew. A little space just for me and a new (to me) serger increased my kid sewing to 36 garments (a few not yet blogged) this year. Next I sewed something for myself, that forced me to get over my revoltion of selfies. The whole thing seems so distasteful and narcissistic, but a dress taped to the wall just isn't the same as one on a body with a little context, and maybe a nice pair of earrings. 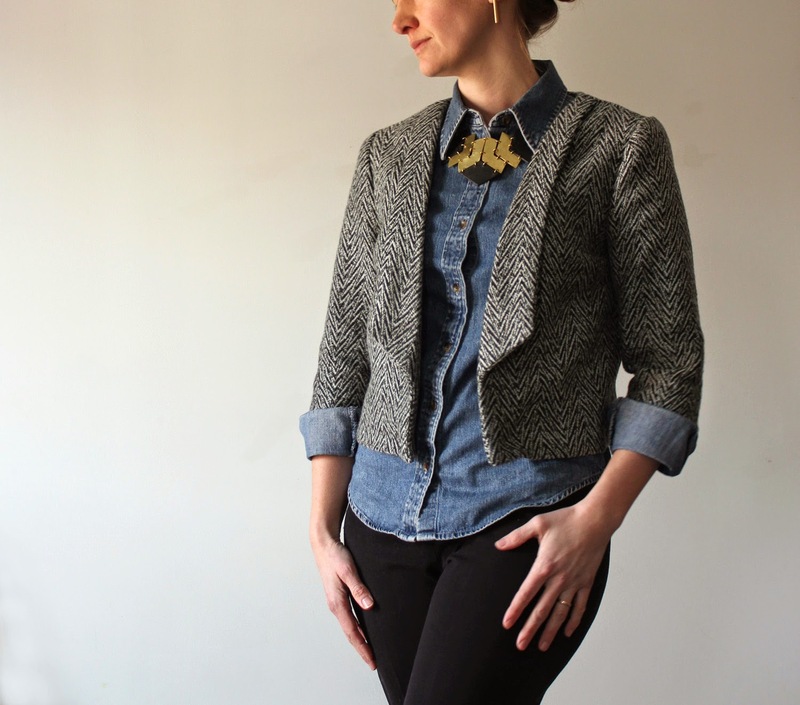 The Salme Cropped Blazer (blogged here) was a big step for me to put my face (or half of it) on this little blog for all the world to see, and to physically own my work. This year I have made 12 garments for myself (1 not yet blogged), up from 1 sad little knit skirt last year. My photography skills have grown with my children. Taking a photo of an infant with one hand while holding that infant upright with the other, is a totally different challenge than photographing a running second grader without showing too much of his face. My first photo shoot somewhere other than my sewing room was for an Oliver + S Art Museum Vest photographed at "the" art museum. The comments generated from the O+S flickr group was my first taste of the positive support possible when you actively share what you're making with the sewing community. I always have a list of various goodies rattling around in my head. Pinterest is a pretty good way to organize a few categories of thought, but a few of those idea needed more room to flesh them out with text. 5 More Fridays are a short list of stand out examples of whatever I was working on at the time. I didn't realize it would be a sort of interaction, I was just making a list of stuff I wanted to remember for later. Now I'm hooked, expect to see more lists I've had rattling around in my head in the new year. 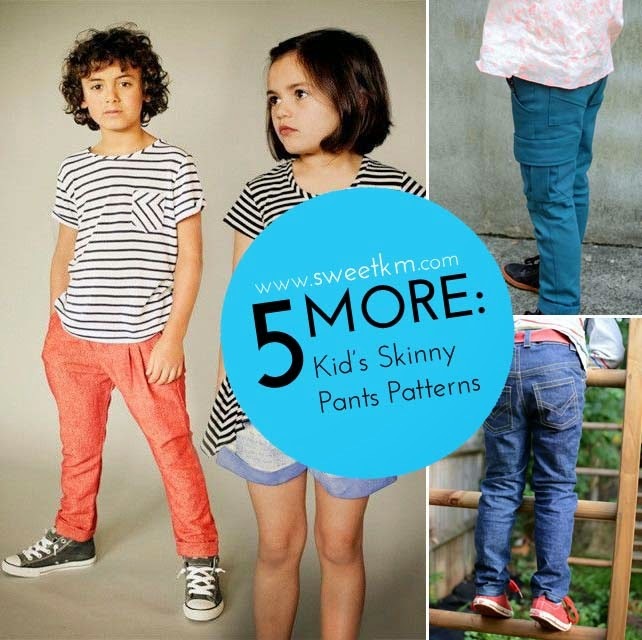 Kid's Clothes Week has always been a great way to get to know other makers. I discovered Brienne’s lovely blog from her season as a KCW contributor. Brienne encouraged me to be a KCW Contributor. It was the first indication that someone other than my mother was paying attention, and such a boost to my repressed sewing ego. So, I did. KCW solidified my addiction to the positive feedback loop of KCW and makers. I would imagine that any female who made it through high school knows that many real life interactions are not nearly so supportive. Not only did KCW open my work up to a larger audience, it gave me a push to seek out other people making similar things and support them with my own positive feedback. The tone that Meg sets with KCW can be credited with creating this positive environment. KCW also lead me to sign up for instagram. I was pretty resistant to anything that would have me staring lovingly into my cell phone (any more than I already did), but I was thrilled to find it a great informal place to exchange little ideas that often get overlooked in a blog post, and get quick advice. I have an internal list of the nicest people on the internet (many already mentioned) and Kristin of Skirt as Top is right there at the top. 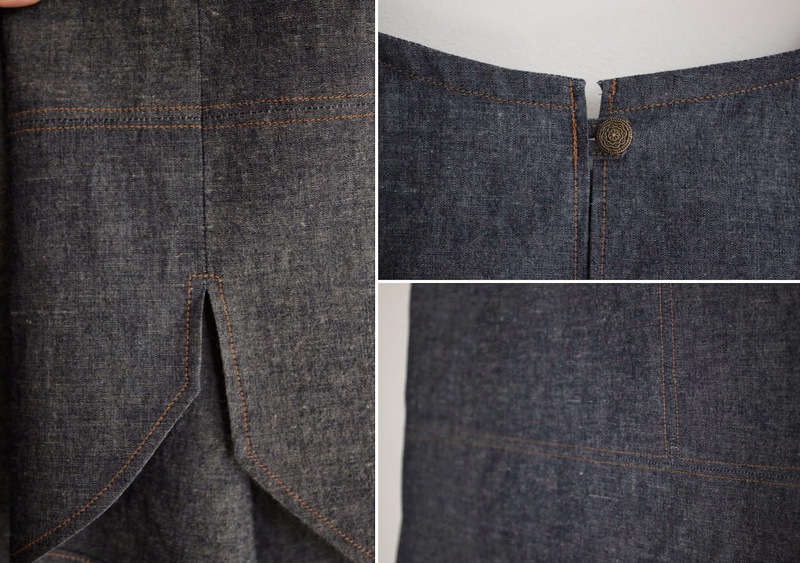 It was a bit of a thrill when Kristin found my tutorial for lengthening the Sunny Day Shorts and asked me to share it with the Oliver + S blog. I have no idea where this honor falls in the vast scope of big deal honors (somewhere between a Grammy and PTA parent of the year?). But it was a BIG deal for me. 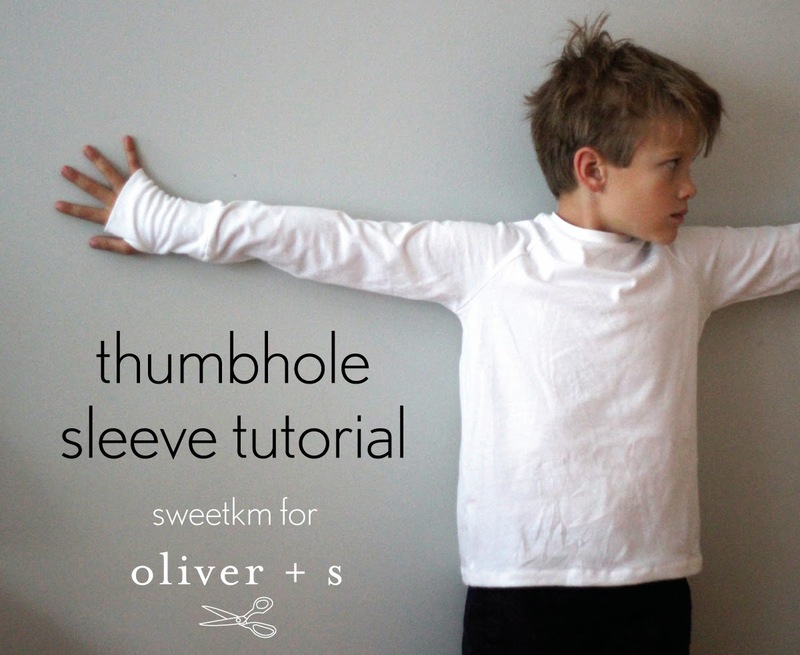 Oliver + S later featured the Thumbhole Sleeve tutorial, too. Somewhere along this sewing journey I decided pattern testing might be a nice thing to try. Yes, yes, and double yes. 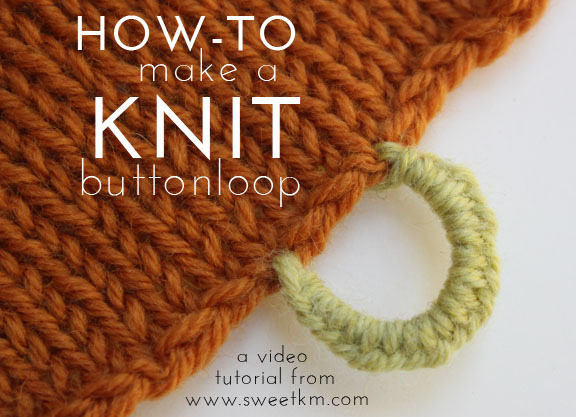 No only did it connect me to even more makers, it expanded my sewing skills, and stretched my aesthetic to things I might not have tried otherwise. I tested the Charles Pants for Compagnie M (blogged here), and the yet to be released Lou Box Top for Sew DIY (teaser photo above, on the blog in early January). Both were great patterns and great experiences. Just when it seemed that KCW was going to be the crowning glory of my year, I was asked to contribute to Stylo. The quality of work in the first two editions was so dazzling, the thought that someone would let me scribble in the margins is still thrilling. I set a few completely unrealistic goals, and surprised myself by meeting most of them. This little journey has reminded me how much I like to make stuff. 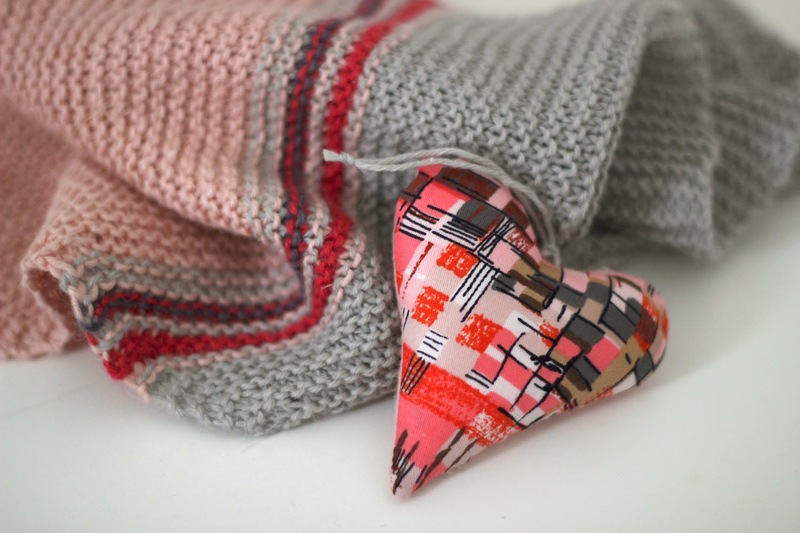 The online sewing community’s give and take of ideas and encouragement has given my personal creativity a new spark. I began this year with the mistaken belief that the internet is anonymous, but have discovered it’s not just about putting good work out there, it’s also about contributing to the positive feedback loop fueled by the enthusiasn and creativity of many, many other online makers. By letting more of myself show in this space, I have had the pleasure of getting to know more of you. SO, what’s ahead for 2015. Starting tomorrow I plan to invest more in myself. In 2015 I have earnest plans to invest more (time and money) in myself. 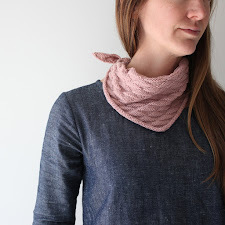 I’ve got a few sewing classes planned, some non-knit pieces for the ol’ shop, and this little blog could use a sprucing up. Let’s keep this going in the new year. Make yourself known. Speak up! Leave a comment pointing me in the direction of your 2015 plans, or find me on your social media thingamajig of choice. what a journey! it seems it was really the year to step out of the dark!! congrats and here is to a new year of sewing and loving it! AND I met you this year Sophie! :) So many good things! This year was so productive (by my normal standard) I would be thrilled to have another one like it! So true FT! 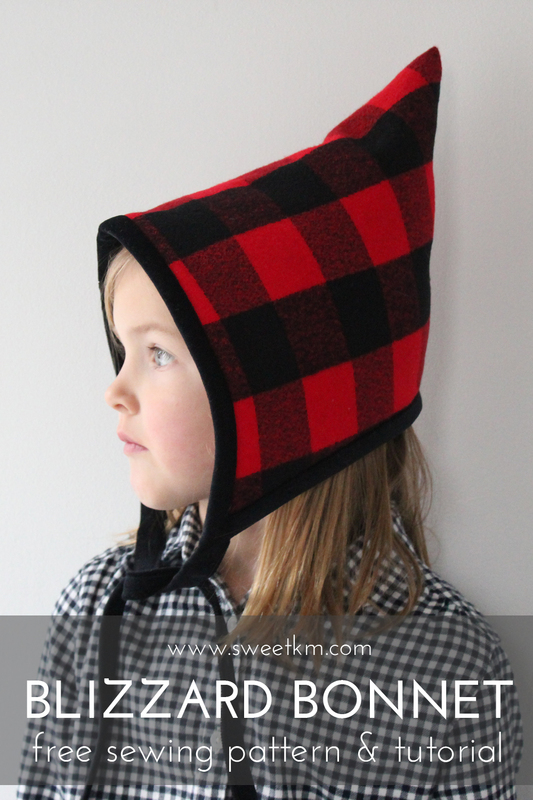 I have very few "real" sewing friends, its nice to find like minded souls on the interwebs. The icing on the cake was definitely Stylo, I was stoked (Aussie slang) for you. Congratulations. 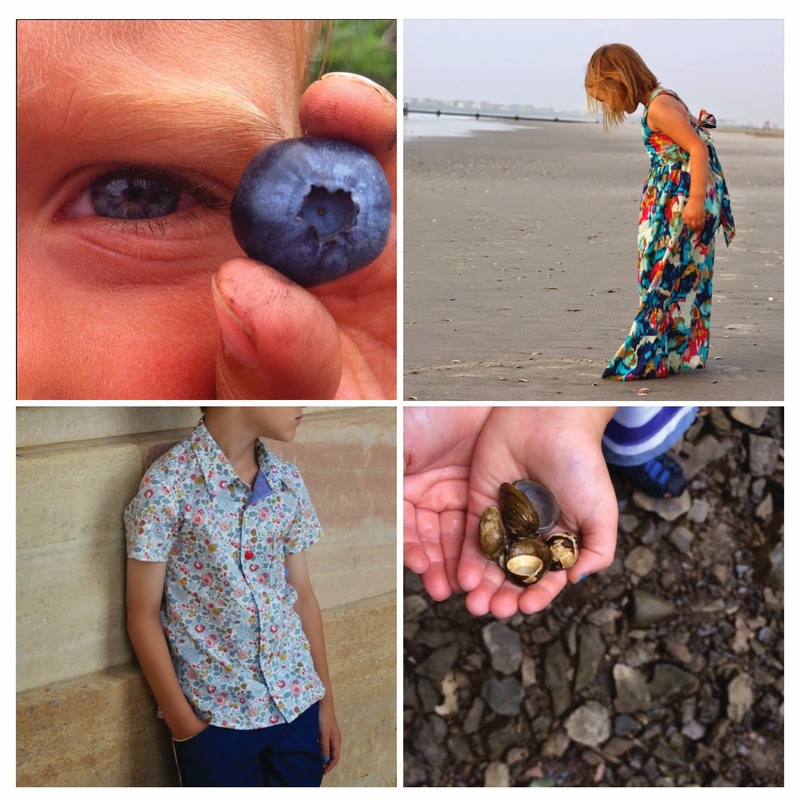 It's a beautiful blog, with lovely things on it. I'll be sticking around for sure. Thanks Shelly! I love how our virtual paths cross so often. Can't wait to see what 2015 brings us both! Bah! ShellEy! I know there are two E's, sorry to be careless with your spelling. I love the way you write Kristi I'm happy to read all you great achievements, your work is so beautiful! It is very interesting to know about your blog journey during 2014. I'm a bit in the shy blogging but getting out of the shell. I first knew about your blog during your contribution for KCW and your collaboration for Stylo blew my mind . Sutile, classic and classy. I loved it! And when you started deconstructing and showing us each piece in a different way to wear it was better even. My plans for 2015 include be less shy and connect more, hopefully sew more for me if I get pass the stage of no liking to take pictures of myself (any tips for this one?). Happy New Year Kristi! Thanks so much Maria for the kind words. Come out of that shell!!! I would love to see what you sew for yourself. I have no advice other than just do it. I always think twice before posting photos of myself. Online sewists are a supportive bunch, they can see past an awkward pose to admire the effort put into the outfit. Thanks Ute! I am loving instagram too. I start most every day with your peaceful #dailywalk photos on instagram! Aw Kristi, I'm so glad you emerged this year! You've been such a faithful commenter on my blog and all the while quietly doing awesome stuff over here. The community part of blogging is the greatest, and what really keeps me going, so I'm really glad you're doing more of that now. Your STYLO spread was especially awesome! Cheers to a fantastic 2015!! How fun! 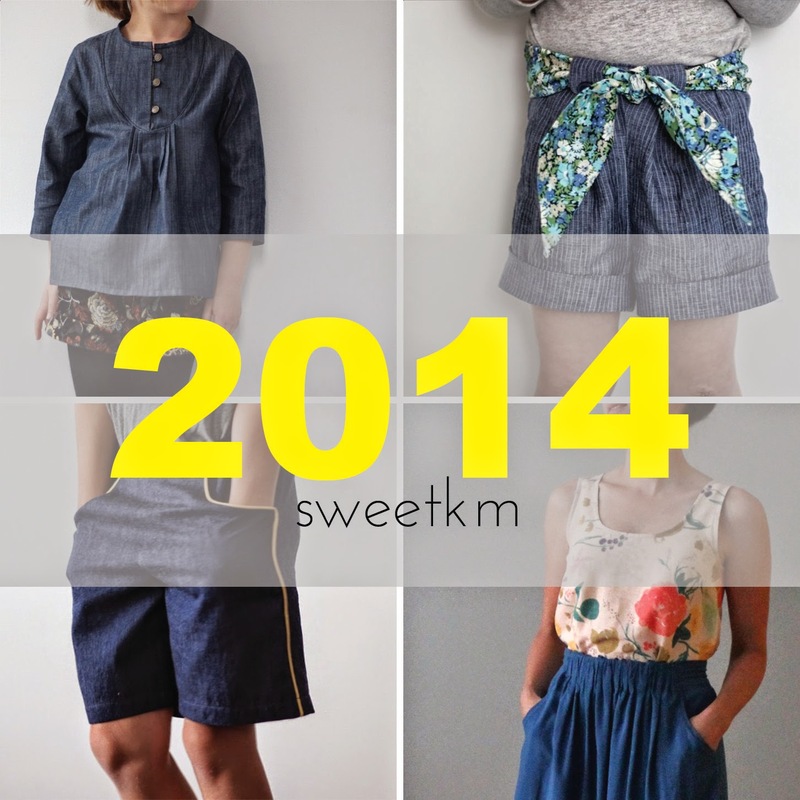 Congratulations on a great year venturing into the online sewing community! Stylo, blogging for O+S, and KCW seem like pretty great rewards for jobs very well done. 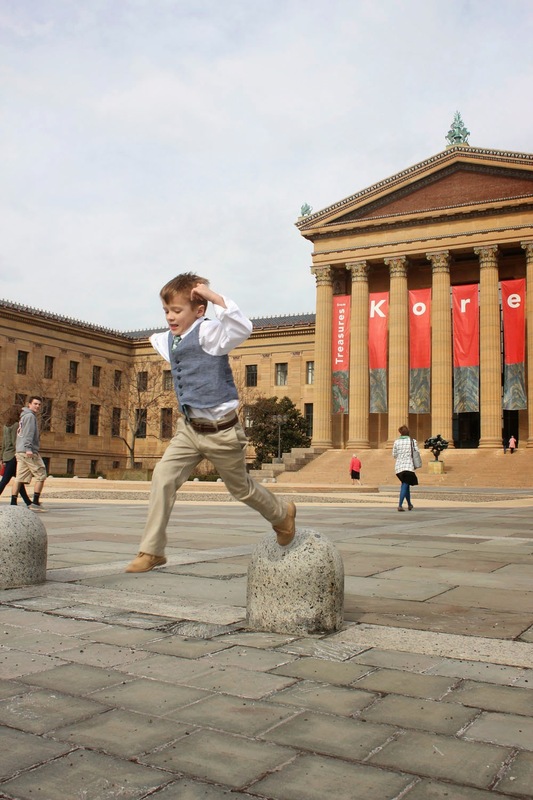 Best of luck as you venture forward into 2015! I love this post! 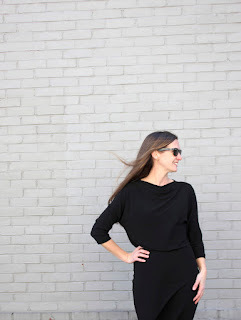 (Posted goals here: http://skirtfixation.com/2015/01/2015-blog-goals/) I feel like your (lesser known) twin that hasn't been discovered yet...maybe this year? But seriously, I was so amazed by your Stylo contribution...I kept flipping back and forth and finally counted all the items you made, loving how wearable each of them are. Going to find you on (my newly found love!) Instagram!